Photo courtesy of Joseph Robertia. Cyder doing what he loved best — running through the snow. I lost a friend recently. Fall is when I miss him the most. We saw each other daily in the summer, but interactions were always more brief than I would have liked. We spent more time together as the cottonwood leaves began to dapple in gold, the fireweed’s cottony-white puffs were carried on the winds of change and the lead-gray sky washed us both in cold rain. It’s never easy to bid farewell to those close to us, particularly after sharing so many years and surviving some pretty harrowing experiences together. You’d never know about those difficult times from him, though. He was the quiet, stoic type, especially about his athletic feats and acts of heroism. He had rust-colored hair, glacial-blue eyes and a build like a brick outhouse, but he never used his size or muscle to intimidate others. A true gentle giant, he preferred to use his physical talents for chipping in as part of the team, helping others less able-bodied than himself. No matter how cold or tired I felt, no matter how steep the mountains we climbed, no matter how dark the night seemed when we camped out miles from civilization, he never complained. We both were in our element. Photos courtesy of Artistic Puppy. 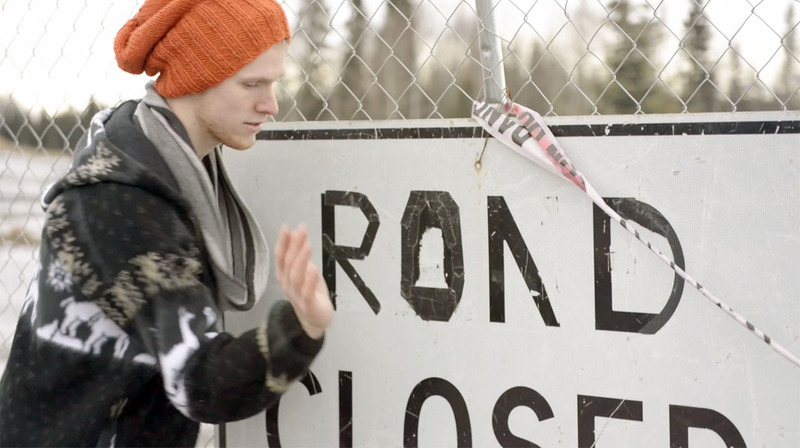 Conway Seavey bangs on a road sign to create a percussion track for his music video to Maroon 5’s “Payphone,” released earlier this month. Recording a song is as much about limiting sound as capturing it. 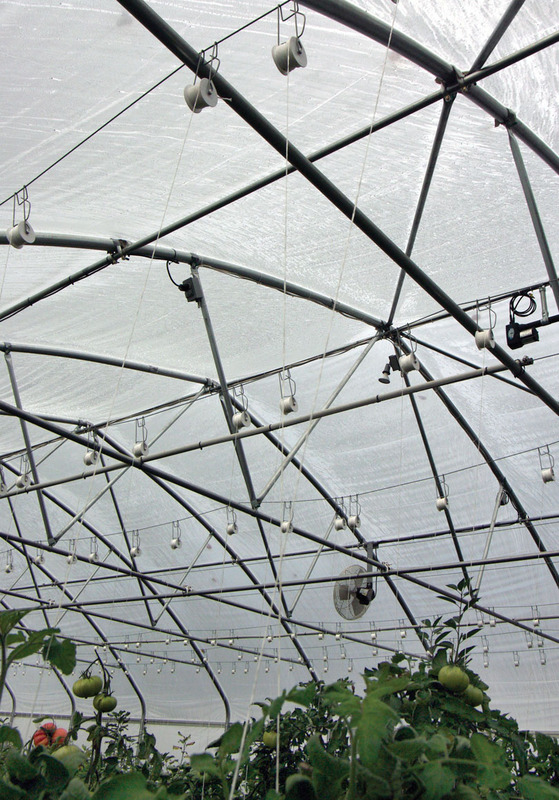 It’s generally done in a controlled, sound-proofed environment, to protect the music from the bumps, barks, beeps and cars on the street that pervade the audio landscape. Except for Conway Seavey, who wanted what most would consider noise to be part of his new music video. He and director Jon Taylor, of Artistic Puppy, set about turning background sounds of the street into a percussion beat. “At first I thought he was crazy, I didn’t know how we would do it. But we went through Soldotna. We started by banging on Dumpster, and then we banged on a chain-link fence, and then a sign,” Seavey said. The found-sound approach isn’t exactly a traditional drum kit, but functions the same way. There’s the resonant thump of a Dumpster providing the base, a sign and a parked car impart a mid-range snare sound, and the jangling of the chain-link fence gave the track a cymbal quality — eventually, anyway. The process took some trial and error. “We had all these sounds. We brought them back into the studio and it didn’t work, there was so much ambient noise it was like, ‘We can’t use this,’” he said. They had used a shotgun mic to start with, which picked up their target sounds — and everything else within a surprisingly large radius. Seavey employs a Dumpster outside Kaladi Brothers on Kobuk Street in Soldotna. “We tried to film a Dumpster and we got the street, we got people talking, and we got people’s cats half a mile away. It sounded like a big, underwater thing,” he said. It took another day of rerecording, and several more days at the computer to mix the sounds into the percussion track. Seavey chose the song “Payphone,” by Maroon 5. He writes his own stuff, too, but that song is one of his favorites. It shows off the clear, upper end of his vocal range, and has the right vibe for what he wanted to convey in the video — good times, hanging out and cruising through town. “I was born in Sterling and I have a lot of hometown respect and I just love to bring that out in the video. I want that to be part of who I am as an artist is this guy who respects his hometown. 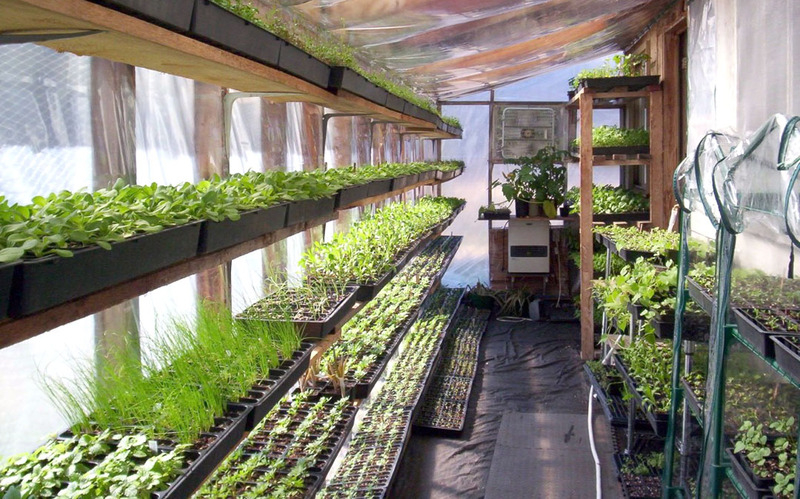 And that’s why I love doing it in Soldotna, I made all these memories in the place where I grew up,” he said. Photo courtesy of Robert Kasuboski. Joseph Robertia and Rod Perry, dressed in period attire, drive a historic dogsled out of Anchorage in the ceremonial start of the 2015 Iditarod Trail Sled Dog Race on Saturday. Water flowed like a small stream in the asphalt gutter in which my sled dogs were standing. 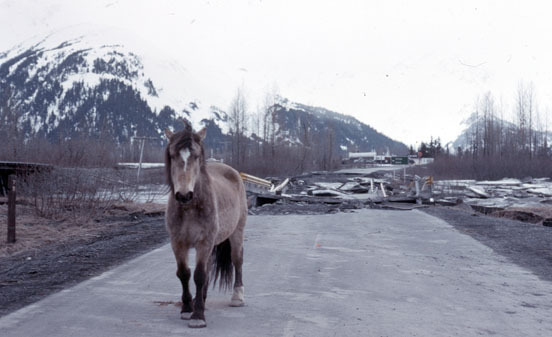 It was the result of warm, falling rain combined with melting snow — trucked in the night before and spread down the center of Fourth Avenue in Anchorage — that was quickly disappearing in the unseasonable, 40-degree air temperature. Still, I pulled on my beaver fur hat and slid my hands into beaver fur mittens, both usually reserved for temperatures 80 degrees colder, at the warmest. I felt a little silly, but nothing about last weekend seemed logical. It began a few weeks earlier when I got a call from Rod Perry, one of 22 finishers of the first Iditarod Trail Dog Sled Race in 1973. He no longer has a kennel of his own, but has never drifted far from the race or the route’s nonsporting beginning. In 2009, Perry released the first of two volumes on the history of the Iditarod, “Trailbreakers: Pioneering Alaska’s Iditarod,” which chronicles the gold-rush era, when tons of gold worth millions of dollars was run, via dog team, out of remote areas of Alaska. In 2011, for the centennial commemoration of the Iditarod Trail, Perry was asked to lead the mushers during the race’s ceremonial start. It occurred to him in that experience that while fans were rabid for race action, not many seemed to have a good understanding of the history of the route. Wanting to change that, Perry worked with the Iditarod and sponsor Wells Fargo to get the go-ahead to lead the 2015 ceremonial start while wearing vintage clothing and riding a replica of the Wells Fargo “Gold Train” freight sled that hauled gold from Nome to Anchorage from 1910-18. 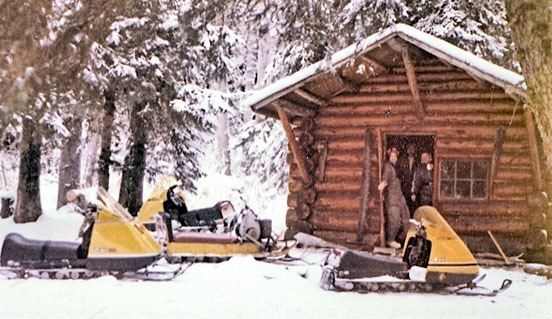 The caveat, other than Perry needing to find a dog team to pull the 21-foot-long oaken freight sled — built in Kasilof by Perry, his brother, Alan, and friend, Cliff Sisson — was that this behemoth needed two people to steer it. One musher, Perry, would be on the back working the brakes and managing the speed, and one would be in front to steer by using a rudderlike device called a gee pole. Having a trained-up team of huskies not committed to racing the trail, being athletic (and not scared to take a few falls) and generally standing too far from a shaving razor, I was an obvious choice for the part in the historical re-enactment. But from what I knew about gee-pole sleds, the front man was on skis. “And I don’t ski, Rod,” I told him when he called. Photos courtesy of the Tustumena 200 Sled Dog Race. Tustumena 200 Sled Dog Race officials flew the racecourse Saturday in making a decision to postpone the race until Feb. 21. There is not enough snow, especially on the Homer end of the trail, such as at McNeil Canyon Elementary School, which serves as an important checkpoint in the race. Two weeks. Tustumena 200 Sled Dog Race organizers are hoping that’s enough time to rescue their chances of holding a 2015 race. Specifically, they’re hoping for snow. And lots of it. “There’s no snow in any of the areas we need to be. Up in the high country there’s some, but it would be just a sheet of ice. There’s no snow to grip for these mushers,” said Tami Murray, T200 race director. After a month of anxiously keeping an eye on the forecast while watching what little snow has fallen this winter melt away, the T200 board met Saturday, flew over the race route and announced Monday its decision to postpone the race from Feb. 7 to Feb. 21. In previous years of postponement the race had been pushed back a week, but the weekend of Feb. 14 is when mushers will be preparing their food drops for the Iditarod. Plus, the extra week gives Mother Nature extra time to chill out and produce some precipitation. Since, at least in the near term, the forecast is not promising for snow. The forecast is calling for above-freezing temperatures and rain the rest of this week, with a chance of cooling and that rain turning into snow, but not getting cool enough to be out of the danger melt zone. Photos by Joseph Robertia, Redoubt Reporter. A dog sled team trains on the Cook Inlet beach in Kasilof recently. Mushers are having to be creative to run their teams as snowless conditions persist this winter. If it’s not one extreme, it’s the other — clear skies and hard, slippery sheets of ice encasing the landscape, or warming periods bringing rain, thawing lakes and rivers, and creating puddles that return to ice when the mercury swings back below zero. What this winter hasn’t brought is snow. At least, not much for skiers, snowmachiers, dog mushers and other snow-sport enthusiasts to enjoy. The current weather pattern is now calling into question whether the Tustumena 200 Sled Dog Race will occur, or be canceled for an unprecedented second year in a row. “Getting these questions a lot now,” said Tami Murray, executive director of the T200. The race, an Iditarod qualifier, is scheduled to begin Feb. 7 this year, and has only been canceled due to weather twice since its inception in 1984 — in 2003 and 2013. Despite a lull in signups a few years ago, interest in the race has since bounced back. This year, a full field of 50 mushers signed up on the first day of registration, and there is an active waiting list. “The field overall is pretty strong,” Murray said, adding that there are several past T200 winners and Iditarod champions registered this year. But even the most skilled mushers need enough snowcover on the trail for it to be safe for their 14-dog teams. 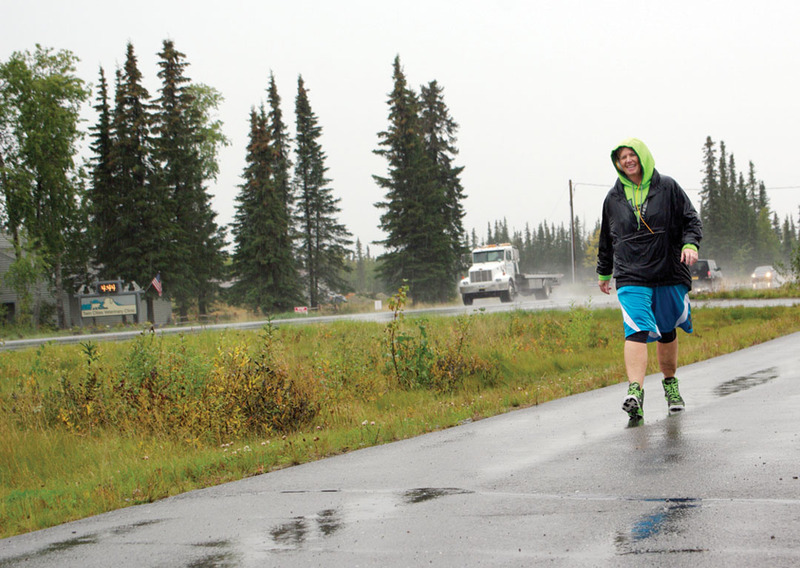 The T200 is known by the moniker, “The toughest 200 miles in Alaska,” for a reason. The race features numerous steep ascents and descents that can be treacherous without ample snow. High-country areas in the Caribou Hills that are usually smooth with feet of snow by now have only a thin crust of white, leaving the miniature forests of bushes exposed, which can poke and whip at the dogs. Also, some of the several large creeks that are crossed during the race are currently still open and flowing. Photos by Joseph Robertia, Redoubt Reporter. 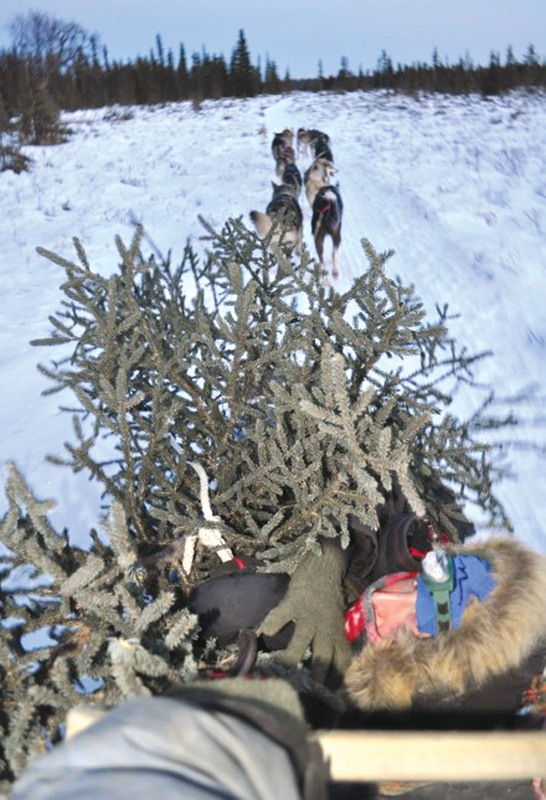 Bringing home the Christmas tree, dog sled style. The goodies, the gifts, the lights, the music — all are nice ways to experience the holiday season. But for me, selecting our family Christmas tree is a tradition I look forward to more than all others. Notice I say “selecting” a tree, not putting one up. Blowing the inch-thick dust off the boxes of ornaments in the basement, hauling everything upstairs, straightening then anchoring the tree in the stand and decorating the whole assemblage is actually rather mundane to me. Getting the tree — now there’s the good stuff. Selecting a tree means different things to different people. For some, the decision of a tree was made years ago while looking at a stock model in a store. I have a brother-in-law who long ago went the artificial tree route. 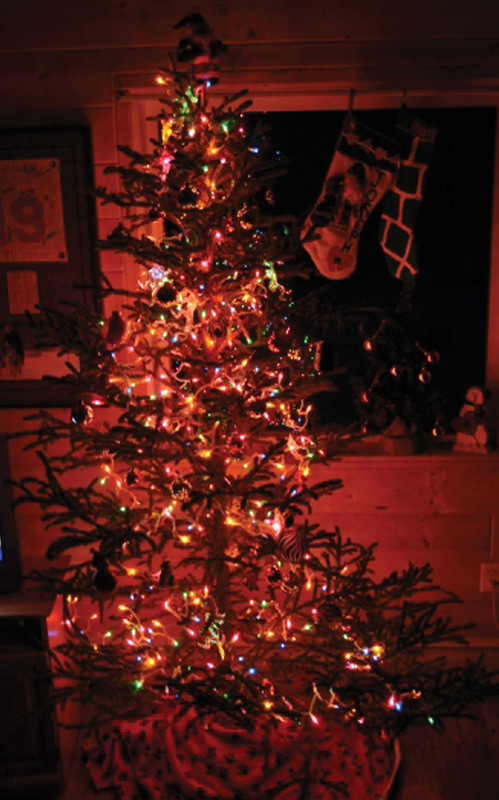 To his defense, he always has his tree up the day after Thanksgiving, it always looks great and he never has to worry about vacuuming dropping needles as Christmas draws near. But to me, that’s just not natural. In town, I see no shortage of people pushing a bright-orange cart out of Home Depot with a tightly tethered tree protruding like a lance several feet in front of them. Purchased trees are less work than harvesting your own and have more character than the mass-produced artificials. And they smell real, but it’s a purchased reality, rather than an experienced one. More to my liking is taking advantage of the seasonal opportunity allowed by the Kenai National Wildlife Refuge to load up every family member, drive to a remote area, swaddle everyone in thick layers, plod through the woods seeking a suitable spruce, chop one down and lug it back to the vehicle for the trip home. My wife and I are both nature lovers who have weighed the odds of which is more harmful to the environment — synthetically produced or naturally harvested trees. From the research we’ve done we believe harvesting is the better choice in the long run, and as dog mushers, my wife and I go an additional extra mile to find each year’s selection. Running a team of dogs through miles of forest all around the peninsula affords us the opportunity to eyeball many prospective trees months in advance of harvesting one. My wife and I have to take many passes by prospective trees since we’re going by them so fast, and back home we weigh the pros and cons of each potential. You might think, then, that we select the tallest or fullest-bodied specimens. Quite the contrary. We realize we’re going to kill a tree, but we don’t want the added guilt of seeking out the choicest, healthiest tree. Instead, we select one that is closely competing with another tree that will likely, over time, die off anyway. By cutting one out before that happens, not only will the other tree better thrive from the open space and sunlight now available to it, but we benefit from taking the competitor home for the holiday season. It’s a win win for everyone but the cut tree, though we console ourselves that it wasn’t long for this world anyway. This tree might not fit a Norman Rockwell scene, but it’s a highlight of Christmas all the same. A side effect of this approach is that our tree is the most aesthetically pleasing. It tends toward the Charlie Brown, rather than Norman Rockwell, aesthetic. We’ve gotten used to our tree having one side that’s a little stunted, with shorter branches and thinner needles than the rest of the covering. No matter. This side just gets turned to face the wall. Harvesting by dog team, while fun, is also no easy feat. Once the perfectly imperfect tree is selected, I have to get the dogs to stop close enough to it. 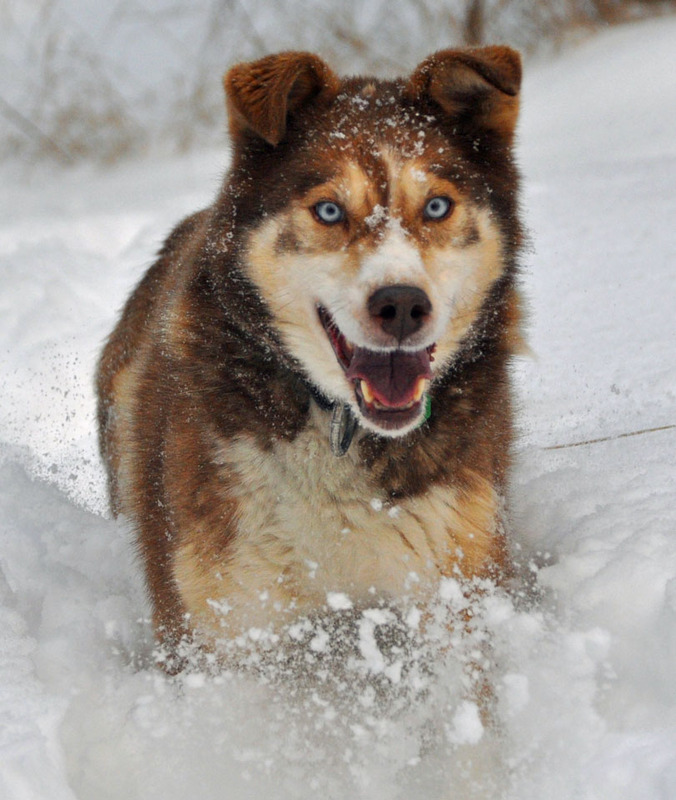 As anyone who’s been around a sled dog can vouch, they’re good at going forward — but standing still, not so much. It’s like Christmas algebra for me — there are many variables at play, but when all come together the resulting equation perfectly sums up the holiday season for me. Concerted effort and conscientiousness make for a celebrated tradition. Looking back at photos of past Christmases, I remember the character of each tree and what we went through to get it as much as anything that went under it. Joseph Robertia is a reporter for the Redoubt Reporter. Photos courtesy of PSDRA. 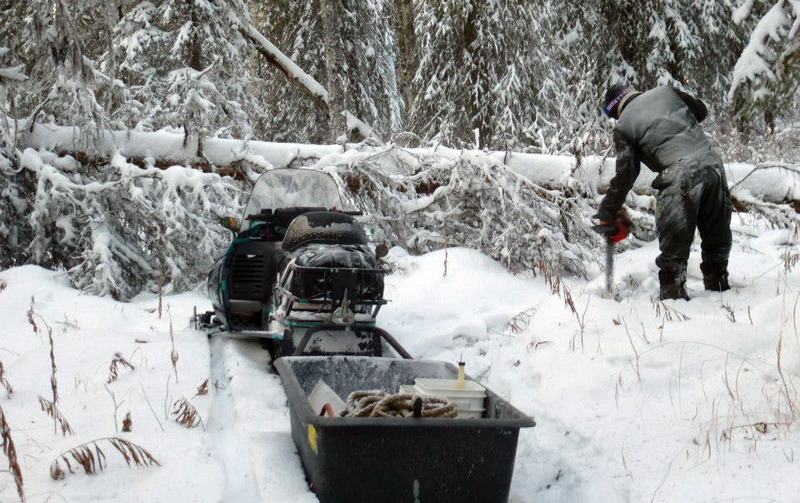 A Peninsula Sled Dog and Racing Association volunteers clears a downed tree from a trail last winter. There sometimes comes a point in long sled-dog runs where a decision must be made — keep pushing ahead, even though conditions are difficult and the route forward is tough to see, or call whoa, put on the brakes and abandon the trail. The Peninsula Sled Dog and Racing Association is finding itself in just that position as an organization and in regard to the 10-plus-mile trail under its care near the Soldotna Airport. If new blood isn’t recruited to reinvigorate the organization, the trail system that’s lately fallen into disuse might not be maintained for use, period. Remaining PSDRA board members and interested parties met last week to discuss the nonprofit’s immediate needs in the coming year, and longer-term strategies for keeping the organization going and the dog-friendly trail system maintained for public use. “Personally, I feel that the trails are a treasure that should not be lost. The place is beautiful and the trail is an exciting and technical run. There is a good future for it if we can get a maintenance group excited about keeping the trails in usable condition,” said PSDRA board member Mindee Morning. 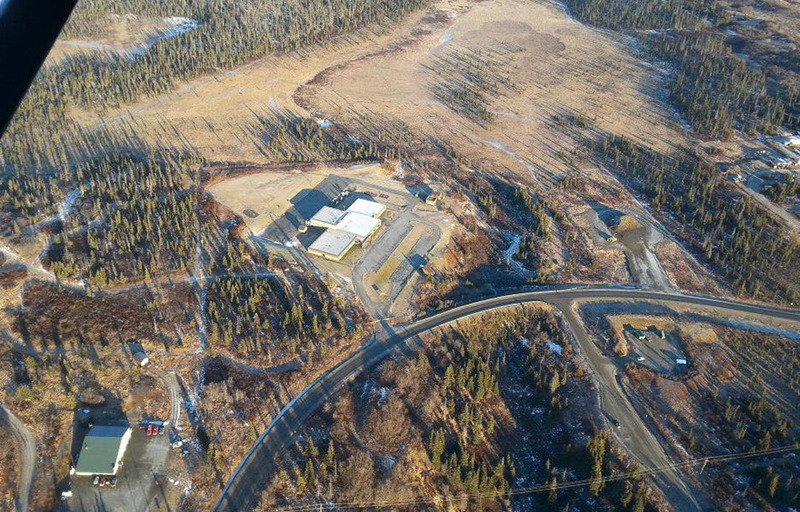 The trailhead at the west end of the Soldotna Airport takes off on a series of varying-length loops south of the airport, winding through the rolling terrain of spruce and birch forests on Kenai National Wildlife Refuge land. Unlike the ski trails nearby at Refuge Headquarters and Tsalteshi Trails, the PSDRA trails are multiuse and open to leashed or harnessed dogs, whether their owners are mushing, skijoring, skiing or snowshoeing. Many area mushers, particularly recreational mushers or racers with small kennels, honed their skills on the PSDRA trails, and gained experience in the mushing spring races PSDRA used to hold. “I raced there for the first time in 1999,” said Jane Adkins, an Iditarod veteran from Kasilof. She said that the PSDRA trails used to be an active host for sprint racing, and served as the racecourse for the mushing portion of the Arctic Winter Games in 2006. As Adkins’ teams have aged, she said she doesn’t race as much as she used to, and in recent years — partially due to poor snowfall and partially to a lull in board activity — PSDRA has not hosted nearly the number of races it used to. 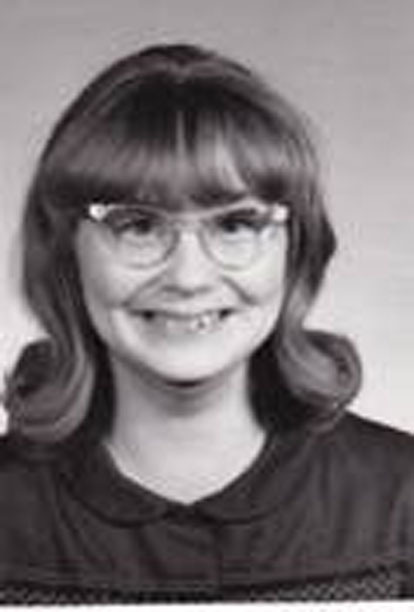 But Adkins said she would hate to see the organization and trail become defunct. “I don’t have the same interest in running there as I used to, but I don’t want to see it die,” she said.